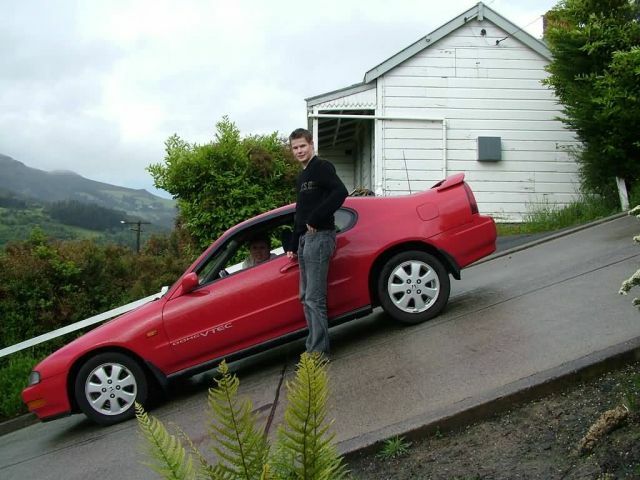 Baldwin Street, in Dunedin, New Zealand, is considered the world’s steepest residential street. It is located in the residential suburb of North East Valley, 3.5 km northeast of Dunedin’s city centre. A short straight street a little under 350 metres long, Baldwin Street runs east from the valley of the Lindsay Creek up the side of Signal Hill towards Opoho.